A family drives singing and laughing. Suddenly they plunge off the road into the water. It looks as though the bridge was up. Marissa wakes to see her man in the shower. They kiss in celebration of their 10-day wedding anniversary. 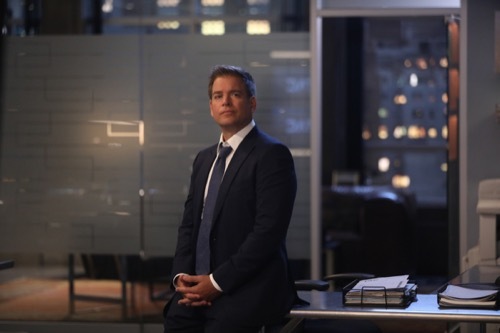 At the office, Marissa and the others talk about how Bull might be changed by his near-death experience. He doesn’t even know he has lost 2 cases or that Marissa is married to her ex Greg, who she was married to a decade before. A woman named Julia in Nevada gets a call that her liver transplant was denied. Bull arrives at the office to all of his coworkers, clapping and happy. He goes to his office and slouches against the door. Marissa comes in to ask how he is feeling after suffering a heart attack. He tells her good. She drops the news that she remarried. They are interrupted by Dani. They have a new case, they are working on behalf of an insurance company being sued by a woman named Julia. Meanwhile, no one can find Cable. Bull tells the team they need this case because they need the $2 million a month retainer. He brings out the CEO of the insurance company, Marshall Hitchcock. Bull meant him while he was recuperating. Benny voices his concerns. They are surprised they aren’t working for the woman. Dani asks the super to let her into Cable’s apartment. She looks around. Bull calls Marissa at 1:30 in the morning. He asks about Cable. Marissa tells him she will let him know when they find out more on her. He is in a cab driving around. He can’t sleep and he can’t walk, he is trying to avoid bars and they are on every corner. Benny and the team start the jury selection. They begin the trial. Benny explains that even with the new liver and the surgery, Julia can only expect to live for a couple more years. One of the jurors turns green. Julia takes the stand and points out that it might be a couple of years but it is more Christmases, birthdays and more. Outside the court during recess, Julia’s kids ask to go to the bathroom. Their father is gone. Bull offers to take her son. He starts to feel for Julia. Bull meets with the team. They talk about the case. Chunk asks if they should go to the mother. They all get uncomfortable. They don’t want to do that. Dani tells Bull that Cable has been added to the FBI missing list. Bull talks to Marissa. He is jealous of her happiness. His ex-wife told him he is no good alone. They talk about the case. Marissa hates it. She doesn’t get how they could put a price tag on that mother’s life, telling Bull he wouldn’t know or can’t relate because he is rich. On the stand, Hitchcock explains that his company can’t pay the cost of the liver surgery because she would die soon. Bull cringes as Marissa enjoys that the jury is still mainly red. Dani discovers Cable didn’t just disappear. She died during the bridge collapse earlier in the week. Meanwhile, Benny tries his hardest to make his closing arguments but it wasn’t a success. Bull gets his monthly retainer from Hitchcock earlier than expected. He heads back to the office and Chunk gives him the bad news about Cable. Bull and Benny win the case the next day. Bullheads to the airport where he finds Julia and her family. He hands her the $2 million check. He lost somebody and well he wants her to enjoy her family.